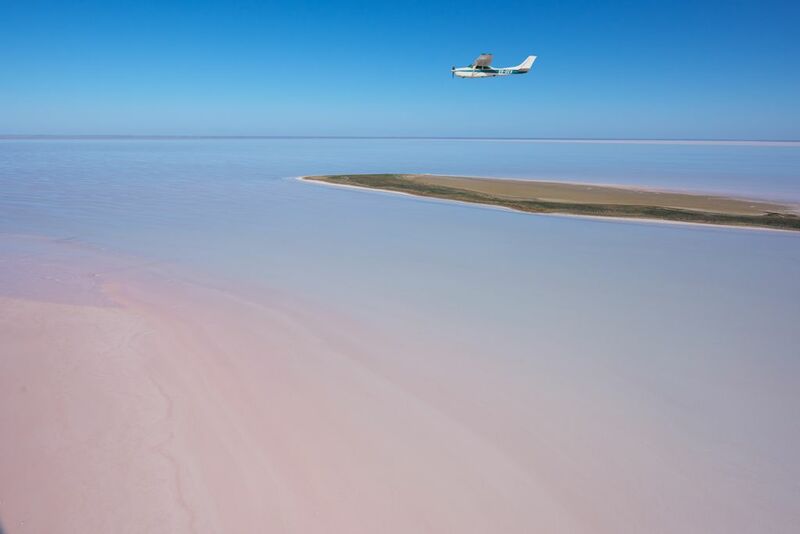 Our scenic flight pilots report that Lake Eyre is starting to fill with water this month, as waters from the recent Queensland floods reach the area. Cyclone Trevor will also give things a fresh burst and we expect the lake to fill more and more in the coming weeks. Lake Eyre (Kati Thanda) is the world's largest salt lake and Australia's largest inland lake at just over 9,500 sq km, and comprises 400 million tonnes of salt. It is the lowest point of Australia (15m below sea level at Belt Bay). Lake Eyre has only filled with water four times over the last hundred years! The most recent total fill of Lake Eyre was back in 1974 when the lake flooded to a height of 6m (20 ft). Lake Eyre actually comprises of two separate depressions, Lake Eyre North (8,430 square km), Lake Eyre South (1,260 sq km).